Finding the Mistake Puzzles are very interesting visual brain teasers. 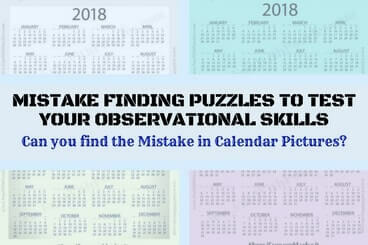 Mistake Puzzles are very much liked on Fun With Puzzles website. 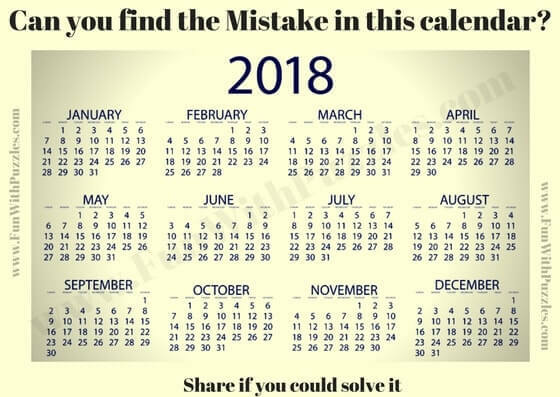 In today's mistake puzzles, your challenge is find the mistake in the calendar pictures. 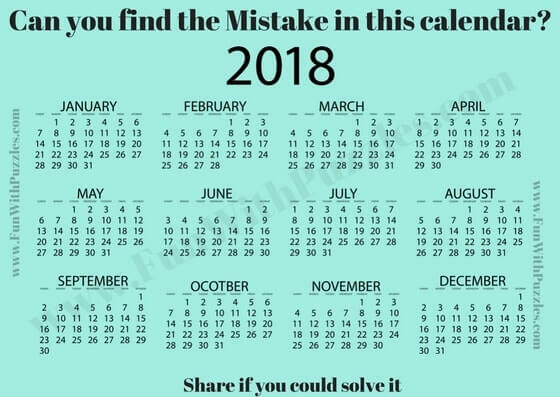 In all of these Calendar Puzzle Images, there is one single error. 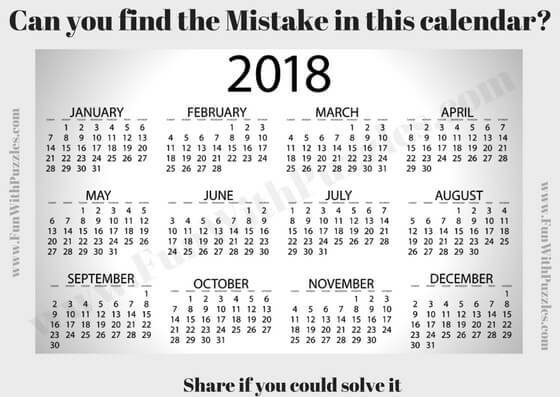 Can you find this mistake in each of the puzzle as quickly as possible? Answers of these Mistake Puzzles will be given later. Do post your answers in the comment section. 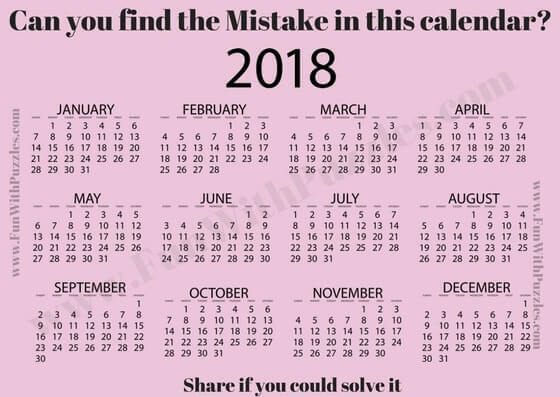 1) Can you find mistake in this calendar? 2) Can you find mistake in this Picture Puzzle?